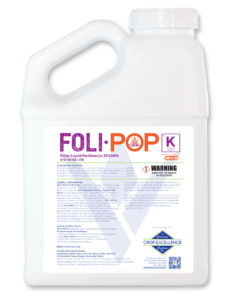 X-CELERANT® will enhance the herbicide activity of certain post emergence herbicides when used at the proper rate. 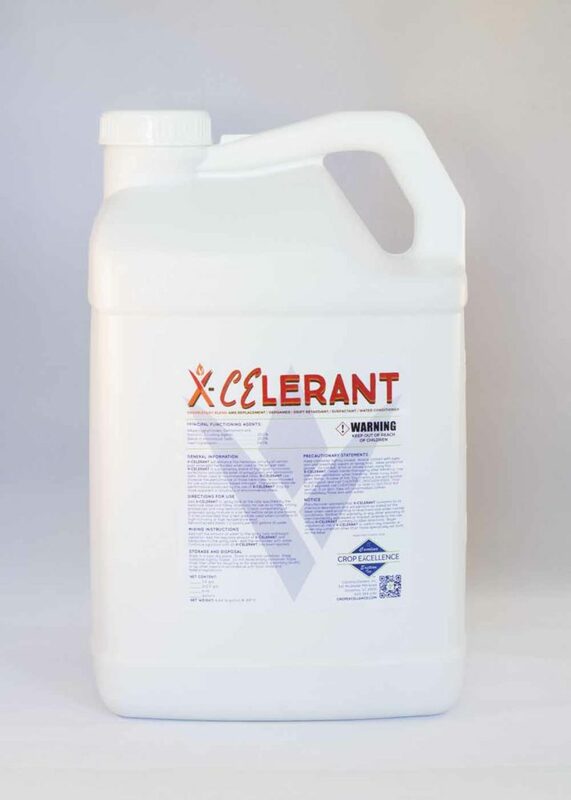 X-CELERANT® is a proprietary blend of high quality nonionic surfactants (phosphate ester of polyglycols) and ammonium salts. 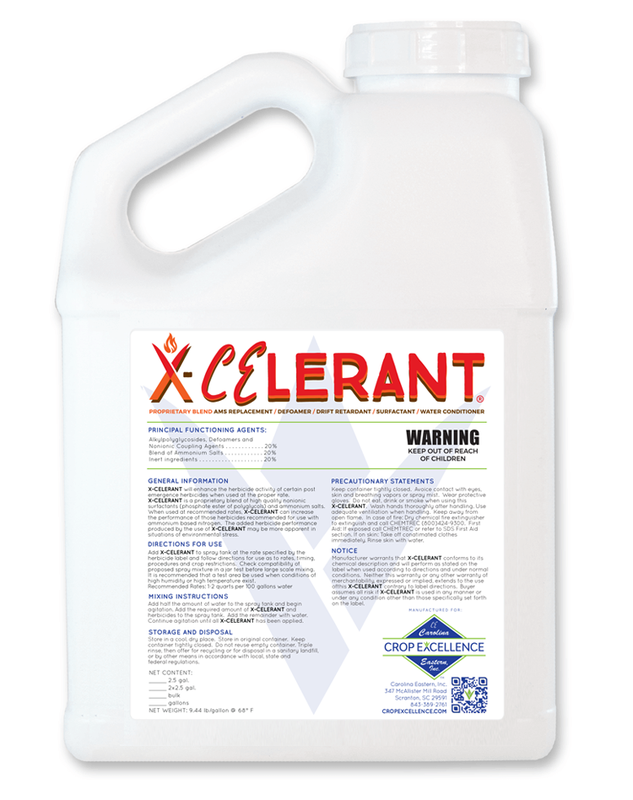 When used at recommended rates, X-CELERANT® can increase the performance of those herbicides recommended for use with ammonium based nitrogen. 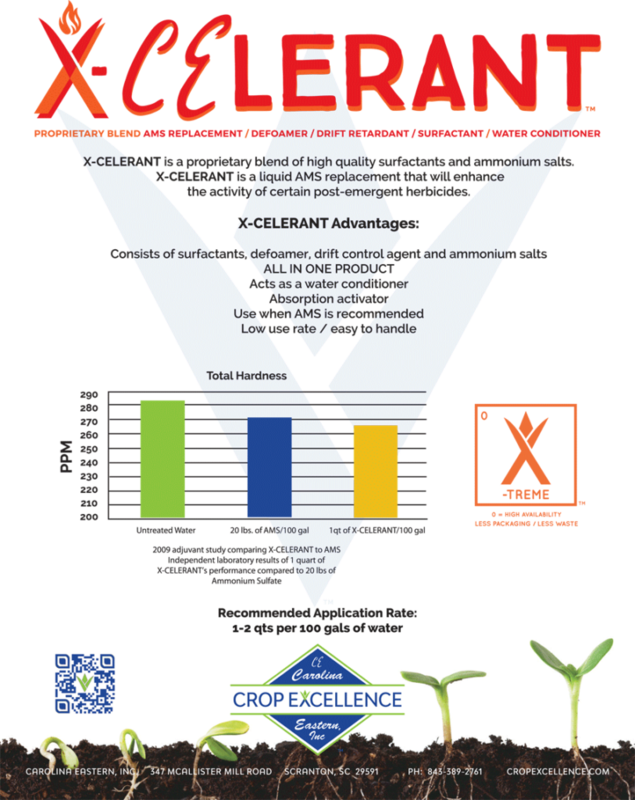 The added herbicide performance produced by the use of X-CELERANT® may be more apparent in situations of environmental stress. 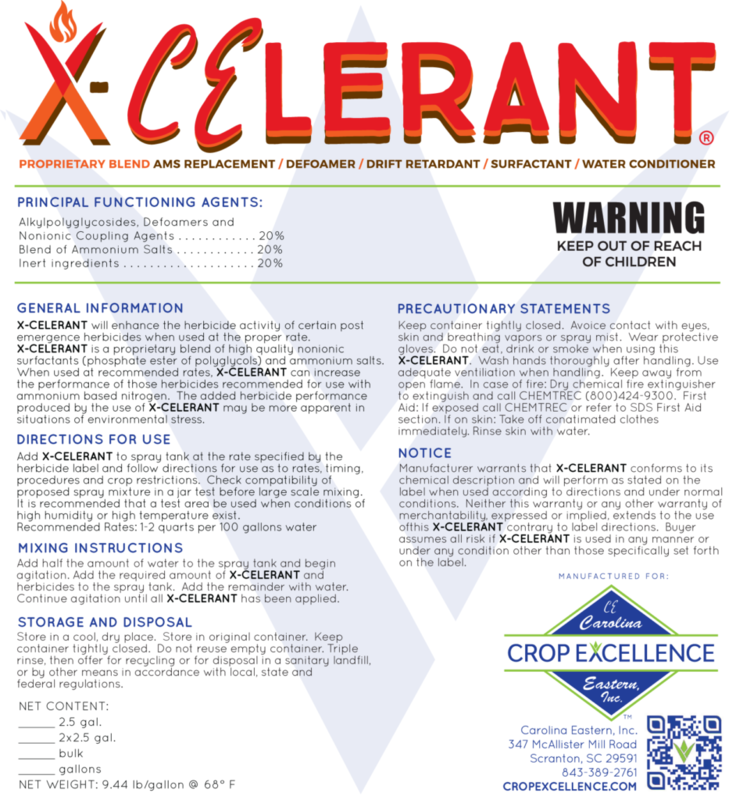 Add X-CELERANT® to spray tank at the rate specified by the herbicide label and follow directions for use as to rates, timing, procedures and crop restrictions. Check compatibility of proposed spray mixture in a jar test before large scale mixing. It is recommended that a test area be used when conditions of high humidity or high temperature exist. Recommended Rates: 1 – 2 quarts per 100 gallons water.